Paste Magazine, a well- known media for its unique articles about travel all over the world, has dedicated a lot of publications about Balkan countries, including Macedonia. 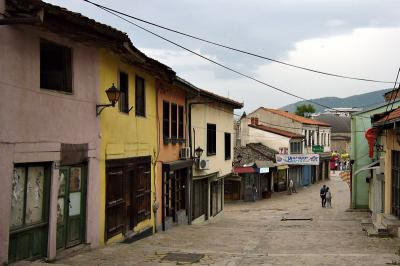 Sarah Bennet, the freelancer journalist visited Macedonia and published her impressions about the country on Paste Magazine. Whether you’re beginning a day of exploring or ending a long night of partying, Macedonia boasts some delicious dishes. One of the country’s best-known delicacies is moussaka, a casserole oozing with layers of eggplant, potatoes and red meat (often green peppers and tomatoes, too). Another favorite is burek—a thin, flaky pastry filled with a combination of onion, potatoes, feta, spinach, ground beef or lamb and a side of homemade yogurt for dipping. 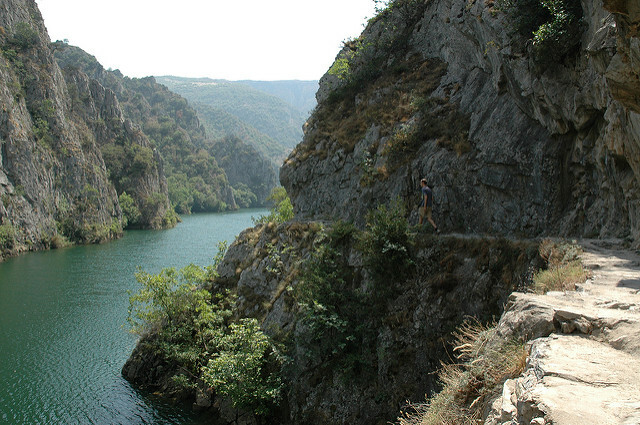 If you’ve been wanting to take an athletic route through the historic hills of Europe, Macedonia is the place to do it. There are multiple races throughout the summer months, like the Tour de Galicica bike race through Galicica National Park in June. Trail running events are also popular—and you’ll have continual photo ops in the Sharr Mountains, a range that connects the country to Albania and Kosovo. Jeep safari tours are a great option for large groups and often offer scenic rides to remote villages. And one of the best parts of Macedonia is that you can view its incredible terrains from more than just the ground level. 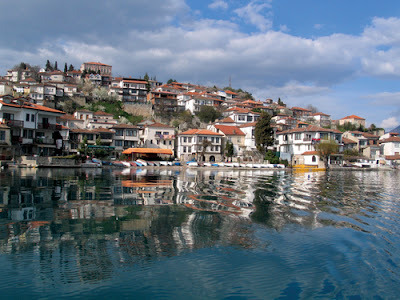 Take a dive into Lake Ohrid (pictured at top), one of Europe’s deepest and oldest lakes. Under the serene waters you’ll see paleolithic settlements scattered among the sandy banks that date back an estimated 2 million years. Treska River flows southwest out of the Vardar River, eventually tapering off after flowing through a total of 82 curvy miles. This vast river flows through many different lakes, including Lake Matka (pictured above), which is cradled in one of Macedonia’s most popular destinations for tourists and locals, Matka Canyon. Downtown Skopje has recently gone through a drastic reboot—this bustling part of the city has been labeled “Vegas-like” due to the bright lights and newly erected statues. One example is a prominent 72-foot depiction of Alexander the Great that stands in Macedonia Square. However, if you walk toward the northeast corner of the city, you’ll find its most well-preserved sector: Old Bazaar. As one of the Balkans’ largest bazaars, the streets are filled mosques, galleries and museums housed by Byzantine and Ottoman architecture dating back to the 12th century. Whether it’s jewelry, souvenirs or authentic food you’re shopping for, you’ll find it here.